I’m not suggesting that your lime green shirt should be worn with your brown pants. Unless, you’re attending a “Lord of the Rings” theme party as the tree “Ent”, then in which case, rock that green and brown outfit! Here though, I’m referring to your outdoor renovation. 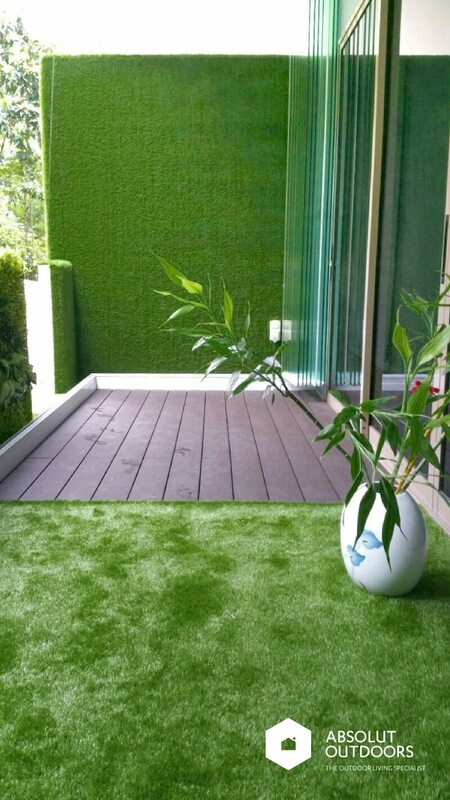 Whether it’s your balcony, roof terrace, PES (Private Enclosed Space) or garden, you can use artificial grass and decking to create your outdoor haven. We can almost see a light bulb above their heads. But look at the trees and shrubs around us. Green luscious leaves with brown branches and trunks. Perfect much? We are simply humbly borrowing this perfect colour match from nature. 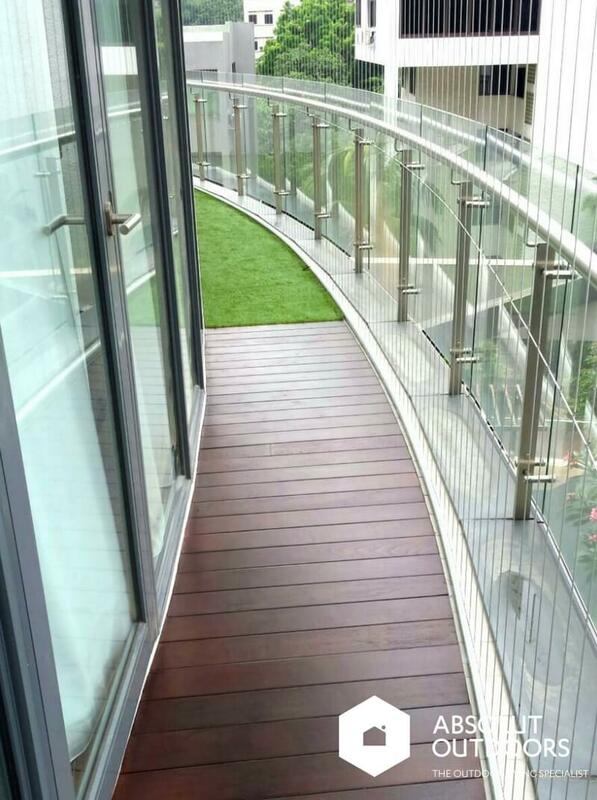 And even if your balcony is not very big, you can still use these two materials together harmoniously by incorporating walls into the overall design. See how the green extends up the wall? 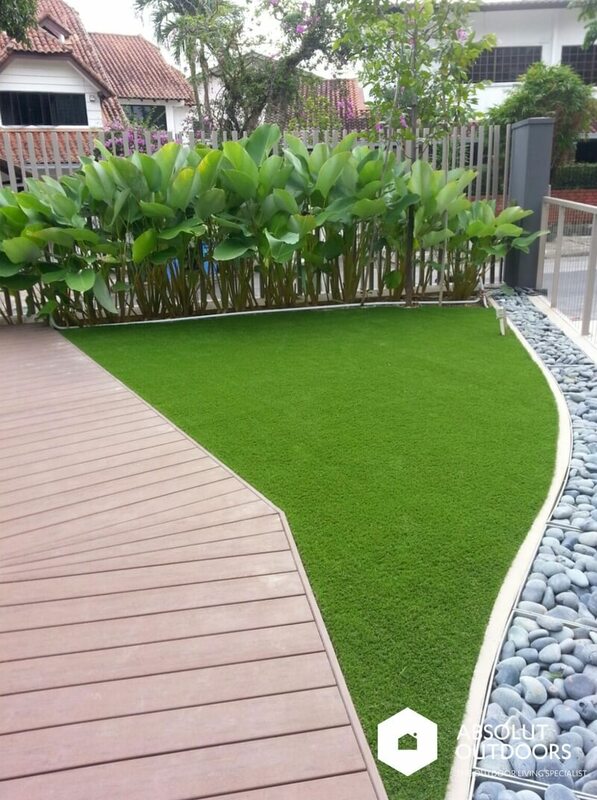 If you need an outdoor renovation specialist to talk to, contact us! 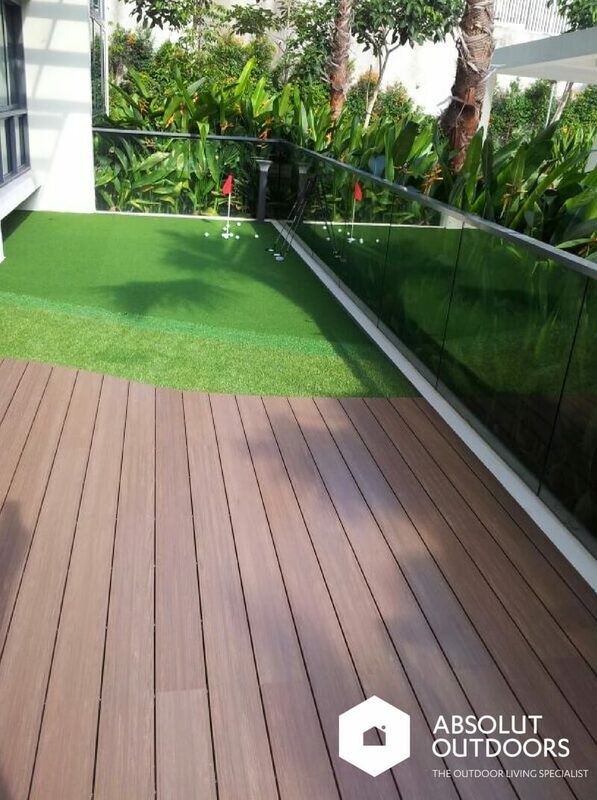 With our wide range of artificial grass and decking, we hope to provide you with the choice you want; and with our outdoor renovation experience, we provide you with the quality installation that you need. Email us at enquiry@absolutoutdoors.com today, we’d love to help!